Vintage metal microphone. Red silk curtain backdrop. Retro mic on empty theatre stage. 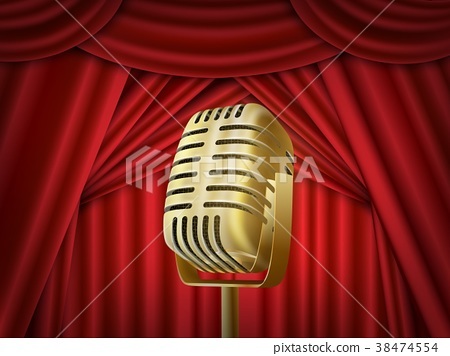 stand up comedian night show or karaoke party background. with text space. retro design.